In my new novel, Cousin Anne, the heiress of Rosings Park, Miss Anne de Bourgh, is told that she will marry her cousin Fitzwilliam Darcy. It is her duty and expected by all the family. True, their engagement is somewhat unusual in that their mothers agreed on the idea when she and Fitzwilliam were infants. But even though she is a youthful seventeen, Anne knows her own heart’s desire: she hopes to marry for love. Indeed, since arriving in London, her thoughts have been very agreeably occupied with daydreaming about a handsome young man she can well imagine marrying: George Wickham, the son of her uncle Darcy’s former steward. Even though Mr. Wickham isn’t at all suitable for her, Anne believes he has all the best part of beauty, his being tall, handsome, and charming. Her growing affection for the young gentleman begins with lively animal spirits and ends in disgrace. After distressing nearly everybody in the family with her bad behavior, Anne wonders: Who feels most deeply the dishonor of her untamed passion—her relations or herself? 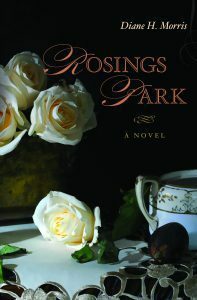 Drawing on many of Jane Austen’s characters, Rosings Park paints a picture of the lady to whom Mr. Darcy was long engaged—the lady who is not mentioned in the final chapter of Pride and Prejudice—the lady who is surely as deserving of love and friendship and hope as anybody else. Anne de Bourgh’s character is forever fixed as sickly and cross, thanks to Miss Elizabeth Bennet, the heroine of Pride and Prejudice. Anne is older than the lovely Miss Bennet and still unmarried. She worries about her future. Her mother, Lady Catherine, expects her to marry her cousin Darcy, but Anne long ago vowed never to marry a man of her mother’s choosing—especially Darcy. Like Miss Bennet, she hopes to marry for love. But being engaged to Darcy since her infancy poses a problem: she has had little opportunity to meet eligible men. After a flurry of introductions at a Buckinghamshire house party and also in London, she begins to wonder how she’ll recognize a true heart when many flaws can be hidden by good manners and a pleasing countenance. When she learns to trust her instincts, she finds her heart’s desire.